Vacations are usually pretty memorable on their own. That’s why you’re taking a vacation - to create memories! Not to mention the break from daily life and change in setting is a beautiful breath of fresh air. But even so, it feels as though it's becoming more and more difficult to create a truly memorable and magical family vacation. Kids are distracted. Parents have a hard time disconnecting from work. Plus a gazillion other reasons. Luckily, we’ve got ya covered! We’ve come up with 7 ways to make your vacation as memorable and magical as possible. It may seem hard. Even impossible. Or maybe just too simple to actually make much of a difference. But we believe in you. The greatest memories we make are with others. And the more distant and distracted you are, the less likely that spark of magic will make its appearance in your vacation. So make a rule that every evening everyone will put their phones, laptops, tablets, and Netflix binge sessions on hold and do something together. Voila, magic. This one’s obvious, right? If you want to make a new memory, do something new. But sometimes this takes just a little more effort. Do some research into your destination and find out what experiences are unique to that setting. For example, if you’re in Alaska (yeah! ), try dog sledding, bear viewing, or deep sea fishing. If you go to Paris, check out world class art you can’t see anywhere else. Made your way to Hong Kong? Take a subway. No seriously. You won’t forget it. We’re sure there are other cooler things to check out, but don’t discount the subway. Find a balance between pushing it too hard and taking it too easy. You won’t remember sitting around in your hotel room, but you also might regret it if all you remember is a blur of museums and blisters on your feet. Make your family vacation FUN. Get clear on everyone’s expectations and the things they’re most looking forward to. Then create an eclectic mix of fun, excitement, culture, and relaxation. Aaah. We covered this a little in the “Unplug” section, but it’s still worth mentioning. It can be so easy to let everyone go do their own thing. This means no fights, right? Sure, but it might also mean no magic or memories! Connection is where the magic comes in. It’s so much harder to feel that spark on your own. Even if it’s setting aside one afternoon where everyone is doing the same thing at the same time. It’ll be worth it, we promise. Obviously your vacation is going to be much more memorable if your setting is dramatically different than what you’re used to. 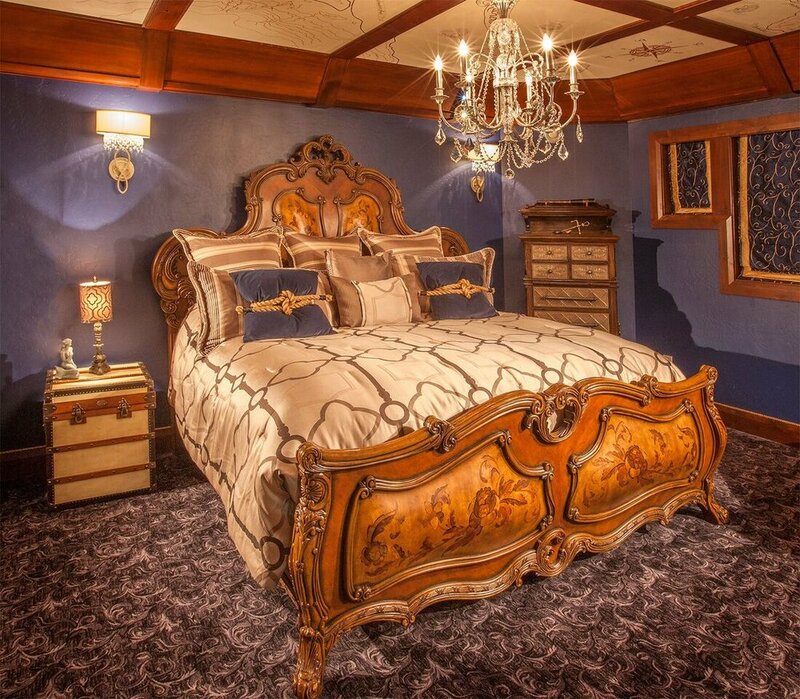 It might be the accommodations - a themed hotel, a bungalow over the ocean, or maybe a luxurious mansion with a 2,000 square foot Neverland replica from Peter Pan. Or it may be the destination itself - remarkable views, bustling cities, or extreme cultural differences. The idea is to look for a destination that offers something unique from your daily life. We’ve mentioned magic a few times already, but first things first. What is magic? For you, magic might be a view that makes your heart leap every time you look out your window. Or it might be be an incredible once-in-a-lifetime experience. Or perhaps it’s simply an extra special feeling of connection with your kids. Figure out what kind of magic you’re hoping to get from your vacation and then make an effort to create a spark. Going the extra mile is an amazing way to create awesome memories. A championship - whether it’s foosball, poker, or Monopoly - go the extra mile by supplying prizes for the ultimate champion. A talent show - have everyone in your family perform a talent - go the extra mile by having a host who dresses up and introduces everyone. See how easy it can be to make your vacation memorable? A simple plan or a little extra effort is all it takes. What’s one thing you’ve done that has made a vacation magical or memorable? Looking for a truly memorable vacation? Check out Second Star Mansion. Breathtaking views, once-in-a-lifetime excursions, and magic, imagination, and connection to boot.